A Year of Being Here: Ralph Murre: "The Light This Day"
"The Light This Day" by Ralph Murre, from The Price of Gravity. © Auk Ward Editions, 2010. 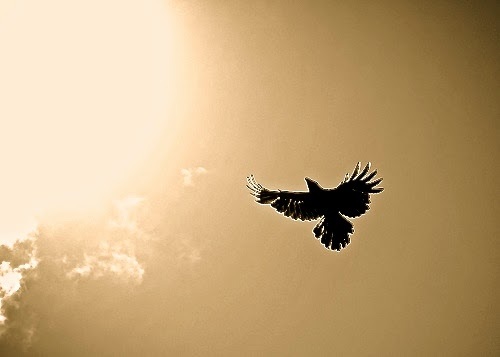 Art credit: "Crows—Towards the sun I fly, not as Icarus," photograph by Hash Milhan (originally color, digitally manipulated by curator).